While there’s much value in observing, studying, and utilizing the arc of an idea or improvisation in its entirety, too little emphasis is often placed on the worth of the individual occurrences within. For in these (somewhat) micro moments exists a level of discovery and compositional integrity far greater than many imagine. 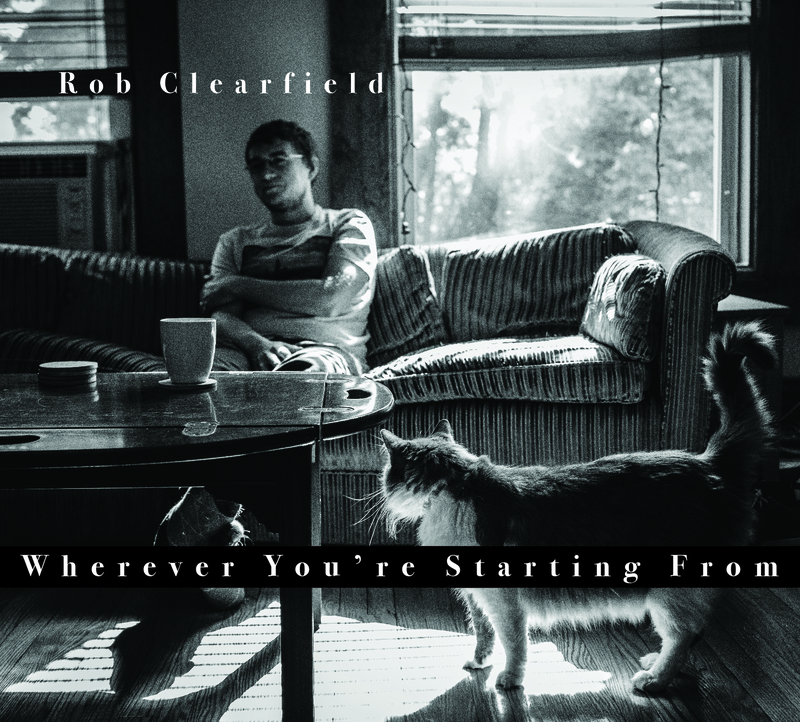 It’s this very idea—improvising the creation of complete works by concentrating on smaller events or sections—that rests at the heart of this personal endeavor from pianist Rob Clearfield. In essence, it’s all about wherever you’re starting from. Rather than release a “roll tape” solo piano effort or focus on big pictures, Clearfield homes in on certain sections from lengthier performances by making judicious edits that yield what’s heard here. Some may see that technique as a manner of producing incomplete pictures lacking the context of what’s taking place in or on the periphery. But is there really such a thing as a partial image? Every photo, even if cropped, is whole. It’s all a matter of presentation and perception, and Clearfield clearly understands that. The first glimpses of this architectural strategy come in the form of a glistening “Prologue” and a beautifully questioning “Starchild.” Then Clearfield delivers Johannes Brahms’ “Intermezzo No. 2 In Bb Minor, Op. 117.” In theory, the inclusion of this classical work and the album’s lone standard—a wandering meditation on John Coltrane‘s “Giant Steps”—might undermine the mission. But there’s a consistency in tone in the way Clearfield brings both numbers into the mix; their fit is seamless and their presence points toward prime influences. As the program progresses, Clearfield ventures out in other directions. With “What Was Your Name Again?” there’s chordal anchoring, a jazz-friendly gait, and close-voiced glances. That’s followed by the wistful title miniature, a move toward “Minor” with pathos aplenty, a shift to “Major” filled with slight optimism, and a variety of other numbers that touch on topics as dissimilar as finality and oblique blues views. While mild curiosity connected to what might have been trimmed from the borders of these pieces remains, it’s a passing feeling. With an ear for development, an appreciation for brevity, and an eye for sussing out form within form, Rob Clearfield provides everything that’s needed and then some.